I am Kenny Kirby and I am Preacher on the Run. I am a follower of Christ, husband of one, and father of four. I am a Dallas Theological Seminary graduate with a Master of Arts in Christian Leadership. This website is the offspring of my personal blog and professional portfolio. 2) To give reminders of truth along the way to stay focused on what really matters…the Gospel of Jesus Christ. I hope to accomplish these goals through several different avenues but will mainly do so through a weekly post where I share some piece of my life, some doctrine of theology, some let-down or joy in ministry, or just some thoughts I have been dwelling on lately. I will also have a Feature Friday post each week where I share at minimum a thought-provoking and possibly life-altering (or not so life-altering) post from elsewhere in the blogosphere. From time to time I may invite guests to post, or just post a recent sermon I or another have shared. However, the post comes, be assured of some good laughs, relatable moments, and reminders of the truth found in God’s unchanging Word! In case you are wondering, that is my beautiful bride, Bethany, at the top right of the page with me. 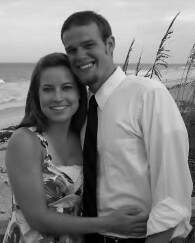 God has graciously blessed me to be married to this woman since 2009, and I look forward to many more years with her. He also blessed us with a son, Jamieson, in 2013. He is a joy and more fun than I could have imagined. In January 2015, God blessed us again with a daughter, Ava Noelle. In October 2016, the Lord gave us a third blessing, Calla Ann. Most recently we received another blessing, Bryant Michael in June 2018. God has used and is using these five to grow me closer to Him and help me realize my need for Him every day.